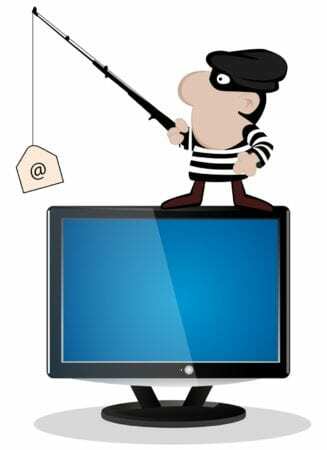 Home > Blog> Ransomware Scam Alive and Well! Don’t Click! “Tell me you didn’t click on the link?” My husband said breathlessly. By clicking on that link, my son had become a victim of a Ransomware scam. What is it? Ransomware is a type of malware that prevents you from using your computer until you pay a certain amount of money. It’s essentially extortion, with all the data on your computer at risk unless you pay. Cryptolocker, and others like it, work by encrypting all the files on your computer – your photos, your documents, your tax refunds – anything you’ve saved to the hard drive or any shared folders. Once the files are encrypted you won’t be able to open them without the encryption key – which you can get only from the criminals behind the scam – who infected your computer in the first place (with your help). After the scammers have encrypted your files, it displays a message demanding payment through an anonymous payment type like Bitcoin or Green Dot cards, and promise to give you the key if you pay the ransom in time (for example, $300 to be paid within 72 hours). Unfortunately, once Cryptolocker has encrypted your files, there’s no way to recover them. You could pay the ransom, but there’s no guarantee you’ll get the encryption key. Don’t click on links in an email unless you know who sent it and what it is. Also, back up your files. Right now. And often. An external hard drive is a good option, but be sure to disconnect it from the computer when you are not actively backing up files. If your back-up device is connected to your computer when Cryptolocker strikes, the program will try to encrypt those files, too. The best way to avoid downloading Cryptolocker – and other kinds of malware – is to practice good computer security habits. Minimize “drive-by” downloads by making sure your browser’s security setting is high enough to detect unauthorized downloads. For example, use at least the “medium” setting in Internet Explorer. NEVER CLICK ON SUSPICIOUS LINKS!! Remember that Microsoft will NEVER call you to tell you that your computer is infected or hacked. Back up your files . . . always. And, if Grandma or Grandpa are computer-savvy? Tell them, too.